Me and My Doctor: You might owe your life to Maurice Hilleman. So why don’t you know who he is? You might owe your life to Maurice Hilleman. So why don’t you know who he is? Editor's Note: This article originally appeared on HealthMap’s Disease Daily on June 10, 2014. It has been reposted here with permission by the authors. When you think of famous names in immunization (assuming you’re a vaccinerd, and prone to thinking of such things), you probably think first of Edward Jenner, creator of the smallpox vaccine. The next name might be Jonas Salk, the celebrated scientist who developed the first polio vaccine. You might have to think for quite a while before Maurice Hilleman comes to mind… or you might be thinking Maurice Hille-who? Yet Hilleman is a veritable superstar in the world of vaccines, with more vaccines to his name than Beyoncé has #1 hits. While Hilleman never won a Nobel Prize or had his name in lights, he was revered by his peers in the scientific community and is credited for saving tens of millions of lives — maybe even yours. And it all started on a farm in Montana. Hilleman was born in 1919. Having lost his mother days after his birth, he was raised by his uncle and worked on the farm. He took an early interest in science and graduated first in his class at Montana State University with a degree in chemistry and microbiology. Later, he earned his doctoral degree in microbiology from the University of Chicago, where (fun fact) his graduate work led him to determine the true cause of chlamydia and laid the groundwork for discovering its treatment. He helped develop his first human vaccine in 1944 to protect American soldiers overseas from Japanese encephalitis. The vaccine would eventually be replaced by others, but Hilleman was just getting started with what would be a long career in vaccinology. We won’t tell you his full story — you can get the cliff notes here or a more detailed account in his biography. But trust us, it’s impressive. He developed eight of the 14 currently routinely recommended vaccines and is the reason we are protected from measles, mumps, hepatitis A, hepatitis B, chickenpox, meningococcal disease, pneumococcal disease, and Haemophilus influenzae type B (Hib). Thanks to him, diseases that once claimed children’s lives or left them with severe disabilities are now largely a distant memory. During his career, Hilleman developed a total of 36 vaccines, making him perhaps the most successful vaccinologist in history. Hilleman was not one to brag. He didn’t name any of his discoveries after himself. He never sought recognition. He accepted praise humbly and quietly. But perhaps the greatest reason why his name is largely unknown is because the successes that he achieved were silent. When public health practitioners do their job, the results look like… nothing. No one gets sick. Diseases don’t spread. Children don’t die. Life pretty much goes on as normal. But behind the scenes, there’s actually lot of work that goes into preventing kids from getting measles, or containing an outbreak of hepatitis A, or delivering clean drinking water to your home. All of those things are public health, and all of them are easy to take for granted. And we have taken them for granted. Right now, we’re in the midst of a cascade of vaccine-preventable disease outbreaks. Measles, a disease once declared officially eliminated from the United States, is popping up left and right. According to the CDC, there have been over 334 cases this year in the United States alone, the most in a single year since the disease was declared eliminated in 2000 — and we’re not even half way through the year yet. Ninety percent of those cases occurred in unvaccinated people or people with unknown vaccination status. Measles may not be circulating in the United States the same way it was pre-2000, but we’re still vulnerable to travelers importing the virus from other countries, as what’s happened so far in 2014 clearly shows. That vulnerability is why it’s so important to keep our vaccination rates high, and to bring up coverage in any corners of this country where rates are low. Encourage your friends and family to check to see if they’re up-to-date on their vaccinations. If some of them have concerns, guide them to trusted, science-based resources like the CDC, World Health Organization or the American Academy of Pediatrics, and encourage them to speak with their primary care provider. 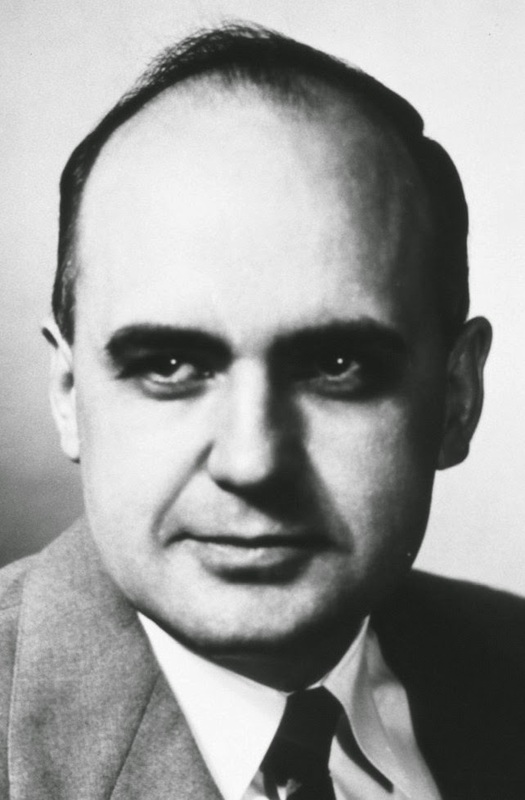 Every time you think, speak or advocate for measles immunization, you’re shining a little light on Maurice Hilleman and his amazing career. And while he may not have received as much recognition as he deserved while he was alive, we can still honor him and his accomplishments by protecting the hard-fought progress made in the fight against preventable disease. Jane manages the Vaccine Finder project at Health Map, the host site of the Disease Daily. Robyn is a contributing writer for the Disease Daily and works as a project manager for The Immunization Partnership. Both are fully up-to-date on their immunizations.